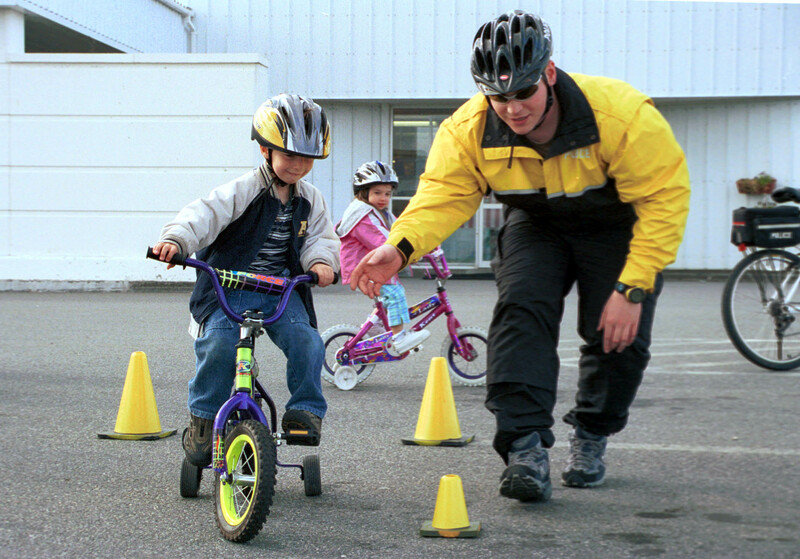 Question – Any free bike safety courses in K-W? Received a question from one of our readers. Anyone have any suggestions? I want to start cycling in the City with the UW bike share program, but the last time I rode a bike I lived in the country, and the most dangerous thing I could hit was a wandering cow. Are there any free bike safety courses I can take in the K-W that can help me? I’m terrified of being hit by a car. I have bad enough experiences as a pedestrian. The CAN-Bike program is the only thing I can think of… you need 5 or more people who are also interested in taking a lesson. You then get in touch with an instructor, pay [approx] $40 per person and voila! Lesson arranged :) Colleen Cooper, who is listed in the website Clasher mentioned, would be the go-to person for this. Great video btw Graham. V, it looks like I also need a refresher on bike safety.. so if you intend on taking the course this fall and need more people to join you, feel free to contact me (syeda.anum@gmail.com). I am a CAN-BIKE instructor and I would consider teaching this person to learn to cycle for FREE except that it cost me over a hundred dollars to get certified to train CAN-BIKE, I also pay a fee every year to maintain insurance coverage through the Ontario Cycling Association plus I am required to be certified in Emergency First Aid and CPR “A” which I have to renew every three years! As a result it would cost me money to give away my knowledge & time. I wonder if the person looking for free cycling lessons would also be interested in free swimming lessons, free golf lessons etc. Please don’t get me wrong, I am passionate about cycling safety, but I get a little cynical that very few people will pay to learn to cycle safely, but appear to be prepared to pay to learn almost any other activity. Hopefully people will realize the true value of CAN-BIKE and be prepared to pay a nominal fee for something that might save their life on the road! @Bruce H – Thanks for commenting. Bruce when would you be willing to instruct a course for us? And assuming we get at least 5 people signed up, what price makes it worth your while! Graham, no need to have 5 people, there is a course scheduled for Sunday June 24 at the Breithaupt Centre in Kitchener, if they get a minimum of 4 people the course will run as scheduled. Please call them at 519-741-2502, and they can give you the details and the cost of the program. I believe that the course is called CAN-BIKE Urban Cycling. Thanks, Bruce, both for explaining what goes in to Can-Bike training and for pointing us toward regular classes. The Urban cycling course is a fairly basic/entry level course (a slightly shortened version of the 10-16 hr CAN-BIKE 1 course for people that want a 1 day 8hr offering), if you are an experienced cyclist it may not be the best course. The CAN-BIKE 2 course (18-21hrs) would be a better choice, this is the most advanced course offered, contact Colleen Cooper if you are interested in this or other courses. Wow. This is interesting. I just got my CAN-BIKE training earlier this semester in September. There was a trainer who came down for 2 weekends to teach 4 of us how to ride safely. We all ranged from ‘not knowing what brakes are’ to ‘experienced on the road’. There are a few resources to check out if you need more information like the Bike Center on campus of UW, McPhail’s, King Street Cycle, Ziggy’s Cycle Shop, or Recycled Cycles. They all have deep roots in the community and lots of connections.